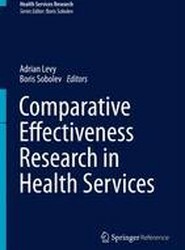 This title deals with internationally documented variations in medical practice and health service that exist across countries as well as regions across a specific country. Such variations raise critical concerns about the quality, equity and efficiency of health care resources across the world. Health services researchers have long been aware of large variations in the use of medical care across regions and medical providers. In the 1930s, the British pediatrician J.A. Glover observed that the rates of tonsillectomy in British schoolchildren varied widely, depending on the district where the students lived and the doctors who examined them. 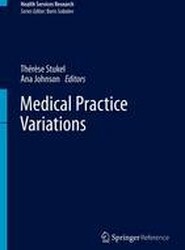 This volume provides a contextual landscape for the study of health care utilization through the lens of medical practice variations. It is grounded in the pioneering work by medical care epidemiologist, Dr. John Wennberg, who revealed wide variations in elective surgical rates across small areas in the U.S. and his findings that these variations were generally not explained by differences in population illness rates or patient preferences but rather, there were strong associations between supply of health care resources, such as hospital beds and physicians and health care utilization. ological care, mental health care and end-of-life care, among others. Studies of variation in condition-specific care focus on common conditions such as acute myocardial infarction, congestive heart failure, stroke, diabetes and procedures such as cancer surgery and joint replacement. Special topics include health care spending and quality, shared decision making and disparities. 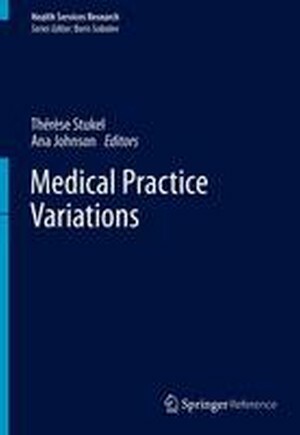 Disparities in Medical Practices.- Introduction to Medical Practice Variations and Outcomes Research.- Knowledge Translation Case Studies in Health Services Research.- Medical Practice Variation Methods.- Medical Practice Variations in Acute Care Hospitalization.- Medical Practice Variations in Acute Myocardial Infarction.- Medical Practice Variations in Cancer Surgery.- Medical Practice Variations in Diabetes Mellitus.- Medical Practice Variations in Elective Surgery.- Medical Practice Variations in Emergency Services.- Medical Practice Variations in End-of-Life Care.- Medical Practice Variations in Heart Failure.- Medical Practice Variations in Joint Replacement in Patients with Osteoarthritis.- Medical Practice Variations in Mental Health and Addictions Care.- Medical Practice Variations in Pediatric Care.- Medical Practice Variations in Primary Care.- Medical Practice Variations in Reproductive, Obstetric and Gynaecological Care.- Medical Practice Variations in Stroke.- Medical Practice Variations: Theory of Local Standards.- Practice Guidelines and Practice Variation: Diagnostic Technology in Maternity Care.- Shared Decision-Making for Medical Practice Variations in Elective Surgeries and Tests.- Strategies and Tools to Manage Variation in Regional Governance Systems.- Variations in Healthcare Spending and Quality among Institutions. Thérèse Stukel is Senior Scientist at the Institute for Clinical Evaluative Sciences (ICES) in Toronto, ON Canada. Ana Johnson is Professor in the Department of Public Health Sciences at Queen's University, Kingston, ON Canada. She is also the Site Director of the Institute for Clinical Evaluative Sciences (ICES).